We have a little vegan boy smashing his way around our apartment. At 17-months, he can pretty much pick up any piece of furniture and toss it across the room. He runs into things full-speed and eats an entire tray of food by the fistful. He is 100% vegan. We are expecting another vegan baby at the end of next month so, hopefully, that will give Little Hulk enough of a distraction that he’ll settle down. Meanwhile, the only thing he sits still for (besides food), is a good book. Recently, friends of ours (one of which has a vegan blog here), gave us a copy of Lois Ehltert’s wonderful board book, “Eating the Alphabet.” Lois Ehlert’s Caldecott-winning children’s books are alive with vibrant colors and her collages are just beautiful. Hailing from Wisconsin, so many of her books are a natural part of every infant’s library that they traditionally share a shelf with Eric Carle’s “Very Hungry Caterpillar.” The big, noticeable difference between Carle’s gastronomic tome and Lois’ “Eating the Alphabet” is that one book is vegan and the other … well, sorry caterpillar fans, is not. As vegan parents, we are always prepared to replace un-vegan passages with vegan phrases: “This Little Piggy went to market … this Little Piggy stayed home … this Little Piggy had kale salad …” You get the idea. The interesting thing about “Eating the Alphabet” that I think is worth pointing out is that it doesn’t have to be edited. Lois Ehlert takes us from A to Z without once stopping at “C’ is for chicken, or “P” is for pork, or “W” for water buffalo. And to be even more specific, the author didn’t use cheese or eggs (which also shouldn’t be consumed). To some, this might be overlooked but to me there is a very powerful message in this book that resonates with me every time I read it: animals are not food. There is no valid reason or argument to eat animals and anyone who continues to do so, is not clearly not making the connection. Animals are our friends and we don’t eat our friends. At least I don’t. 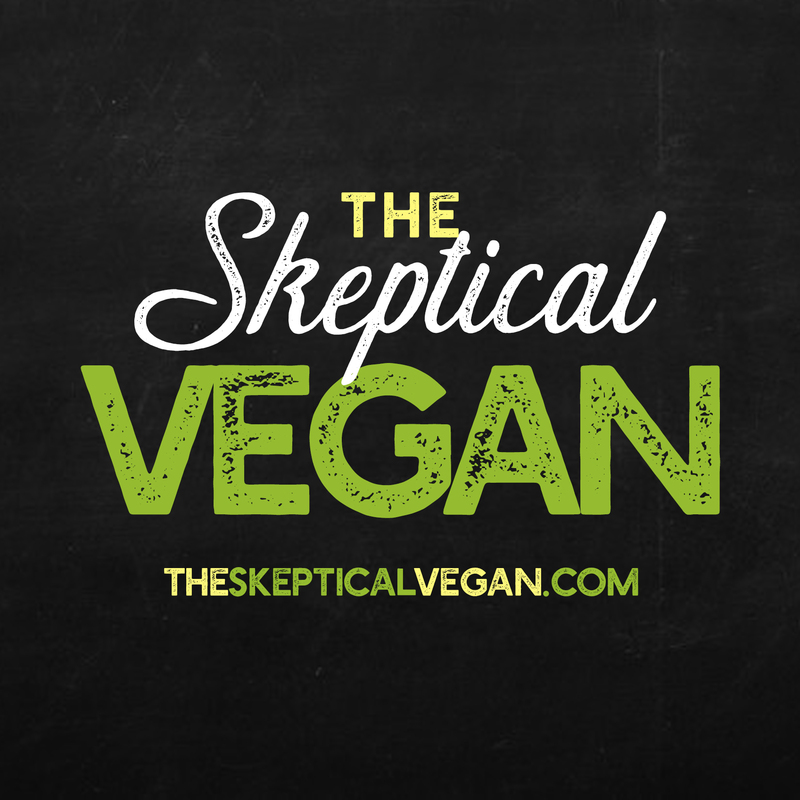 Questions About Being Vegan? Here Are the Answers. What’s Your Favorite Vegan Blog? This One, Of Course! Let @VegNews Know! I didn’t know you already had a little one and congratulations about the new one on the way! Thanks for sharing this book. I would love to get a copy for our house. I’m sending your wife good vibes. I hope y’all have an amazing birth! Thank you, Celeste. We are very much looking forward to a newborn so we can sleep even less. I love that book, so glad you are getting good use out of it! It’s a great book to read to your energetic toddler when you’re near-comatose with new-infant-sleep-deprivation. Cheers. I hope all is well up there in Ithaca! Thank you! Yes, vegan baby #2 is due any day! Better buy stock in Gimme! Coffee. Jealous that you (may?) have a baby and I don’t! I’ve noticed your absence, but thankful that you throw a few crumbs out for us anyway. Yes, another little vegan entered the world on September 29. Little Paisley is just 6 lbs. but the most beautiful baby ever. So glad your dite found me!